Applications: These tungsten carbide tipped blades are designed to cut aluminium, including bar, die-castings, extrusion and sheet. They are thus ideal for the manufacture of aluminium window frames and many other manufacturing and fabrication tasks. They will also cut wood and plastics. The metal should always be clamped before sawing. We offer sizes suitable for popular bench mounted table, chop and mitre saws. Designed for aluminium. Can also be used on wood and plastics. Metal should be clamped before sawing. 350mm size has 25.4mm spacer. This can be removed for 30.0mm bore. Can be re-sharpened with suitable equipment. Diagram included. Max RPM: 250mm 3,800rpm. 355mm 2,700rpm. 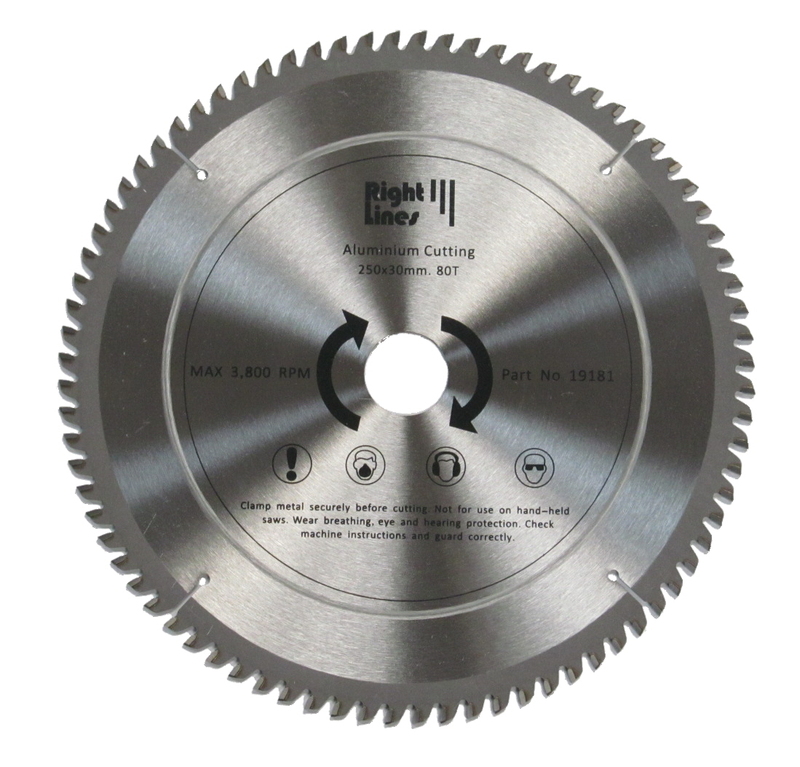 Also Available: We also have similar sized saw blades for ductile construction metal.